Previously posted on Tumblr but I thought I'd bung these up here as well. I am rooting very hard for Mystrade to develop next season. Now that Molly is single again, maybe we'll get a triangle. Hmmm. Oh these are great! You've captured their facial expressions exactly!! 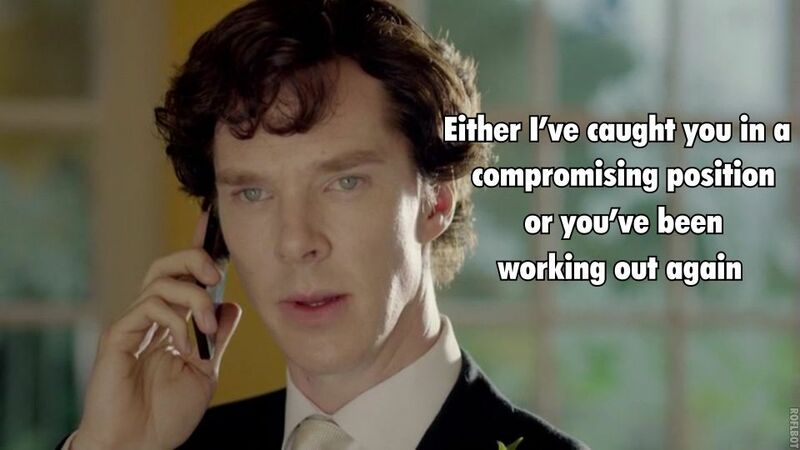 Hahaha, that look on Mycroft's face in the last one! the face on the last panel. I'm bursting with giggles every time I scroll to it. well, only after I stop sighing over the face at the one before the last panel. Damn you Benedict for having such... everything. Imagine the state I was in over the two and a half weeks when I was doing transcripts and having to concentrate on that face for so long. It was almost (I stress almost) a relief when he wasn't in a scene! Someone on Tumblr pretty much summed it up when they tagged a picture of him, "Congratulations on your everything." I wouldn't want to step into your shoes with the transcripts, I really wouldn't! I dunno what's that with his face other than I have strong desire to draw it though I am absolutely rubbish at it. He's not merely pretty to me, it's a work of art. I sometimes wonder at the way he manages to look so differently from different angles or under different lighting - do you remember the close up on his face at the pool? It's one of the last shots in the third episode and it always puzzled me how he managed to look suddenly a different person altogether - I would't recognize that it was Benedict Cumberbatch playing Sherlock if I was presented only with this one shot. What always amazes me is how different Sherlock and Benedict look. You could put them side by side, show them to someone who's never seen the series, and they might not even suggest that the two of them are brothers. 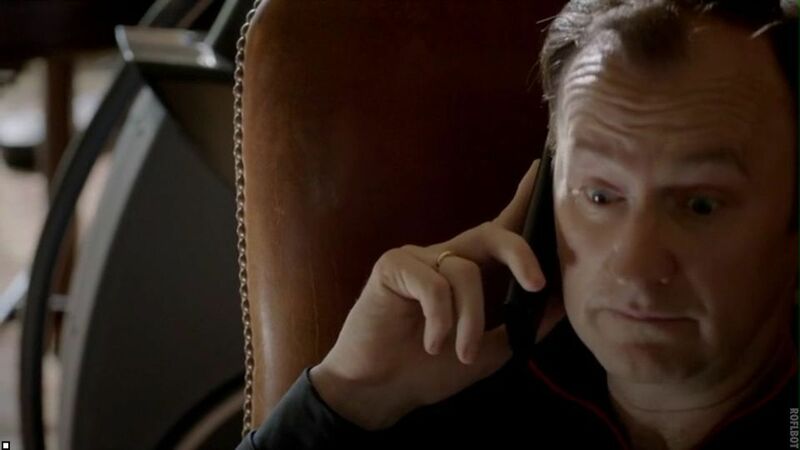 In The Sign of Three just after Sherlock's champagne glass has finally hit the floor and the waiter is bringing him a new one, there are two close-up shots of Sherlock from the side. It's just his face and even the hair is out of shot. 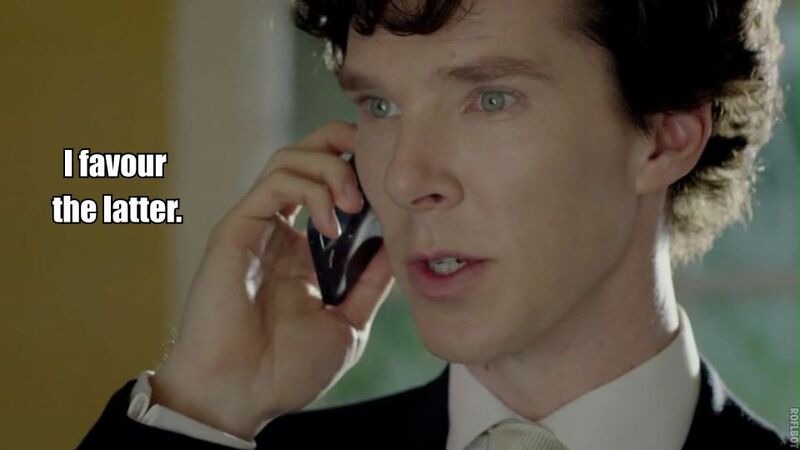 The moment the first shot appeared on the TV, I said, "Benedict!" and I think that both Verity and Atlin nodded. 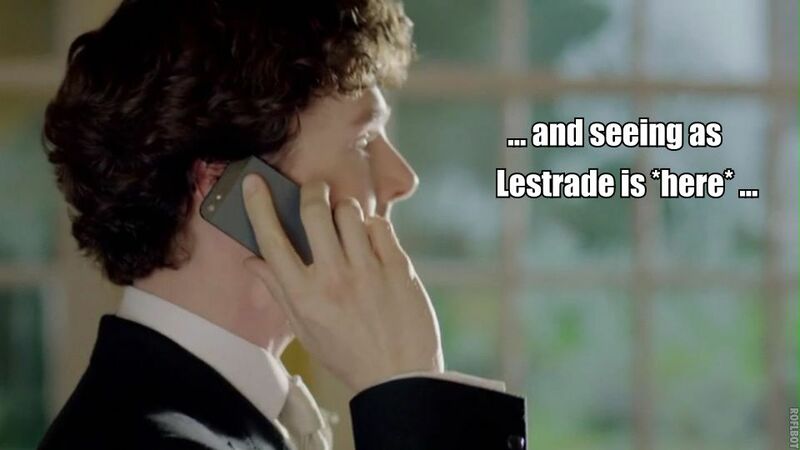 Without the hair, he looks nothing like Sherlock and everything like Benedict. It was the same for me near the end of Scandal when he was doing his 'Laurence of Cumberbatch' bit with only his eyes showing. 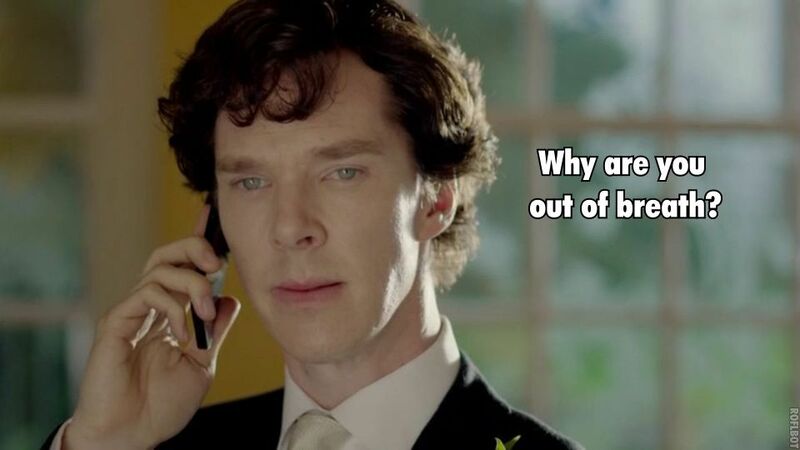 That was Benedict and not Sherlock! 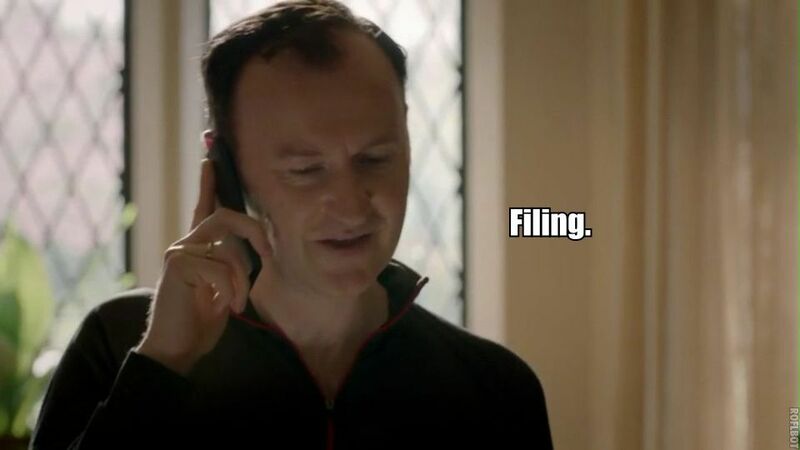 Apparently Sherlock imagines the Mycroft of his mind palace sharing a wardrobe with Lestrade. Make of that what you will. I was going to ask what a macro is but I got it.